On August 14, 2014 “Delta in Blue” opens at the Delta Cultural Center in Helena, Arkansas. The show will be on display through December 31. Here is a travelogue with ideas for folks driving to Helena from points west. I have been traveling to east Arkansas for the last few years on photo shoots and have found some routes and stops that give a nice up-close look of the Delta region. I like traveling the backroads in general, but right now I-40 is undergoing road construction causing long delays. The blue highways are infinitely more interesting I think, especially if you are interested in soaking up the local flavor. Travel west on I-40 to the Lonoke exit, stay right for a couple or so miles and then turn left on Hwy. 70 E. As you enter De Valls Bluff you will come to your first stop. If you are lucky it will be lunchtime. Make SURE it’s lunchtime. 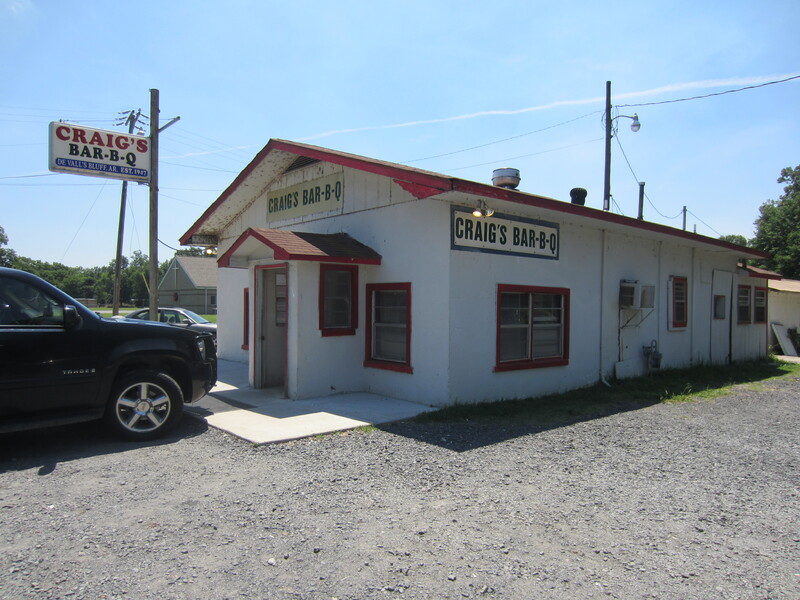 Craig’s Bar-B-Q will get your trip started off right. You can eat in or take out. While you may feel shy in the tiny dining room, my most memorable visits have occurred when every starts talking to each other. You will learn cool stuff whether you join in or not. 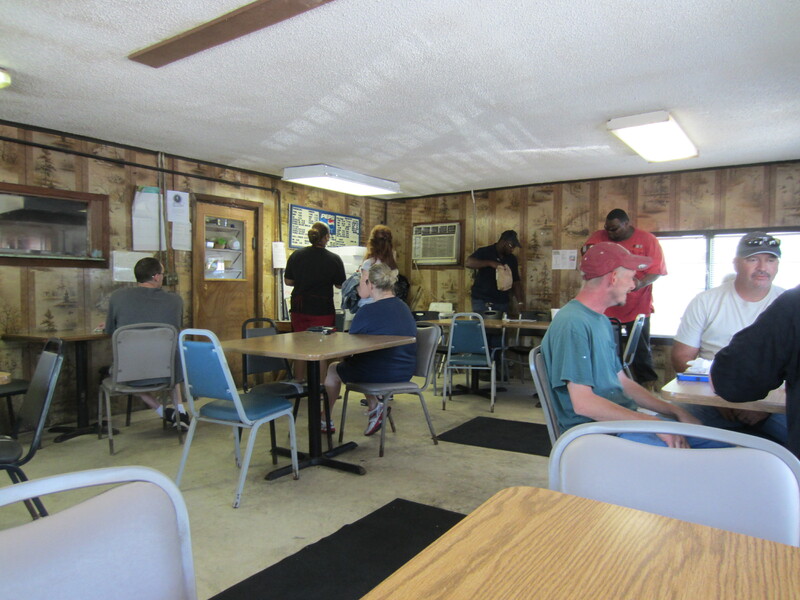 After Bar-B-Q find homemade pie because it is there to be had in De Valls Bluff. You have two choices. If you look across the highway when you walk out of Craig’s you’ll see Pie Shop written on the side of a white building set back a little from the road. Good pie here, or travel less than a mile to the right to Hwy. 33S, which you will be taking anyway, to Ms. Lena’s Pie Shop. It is closed temporarily but should re-open by October 2014. She is open Fri. and Sat. only. Tuck that pie away for a snack because I bet you are full of Bar-B-Q right now. Stay on Hwy. 33S approximately 7 miles and then turn left on Hwy. 86 and drive about 14 miles until you get to Hwy. 79. You’ll be driving through the Cache River National Wildlife Refuge. About 11 miles after passing through Clarendon, Hwy. 79 will intersect Hwy. 49. If you take a right on 49 you will drive directly to Helena, but here I recommend you take the scenic route instead. Stay on 79 until you reach Marianna, find the Old River Road and you will take that into Helena. How to find the Old River Road? I don’t have specific directions but it is easy, just keep veering east and at some point you will see a Great River Road sign. It will be green and white with a steamboat pictured inside a boat’s steering wheel. Follow the signs south. This is a great scenic by-way. Warning!!! It is a well maintained dirt road of 15 miles or so. It parallels the Mississippi River. You are on the tail end of Crowley’s Ridge and the geography is fascinating. 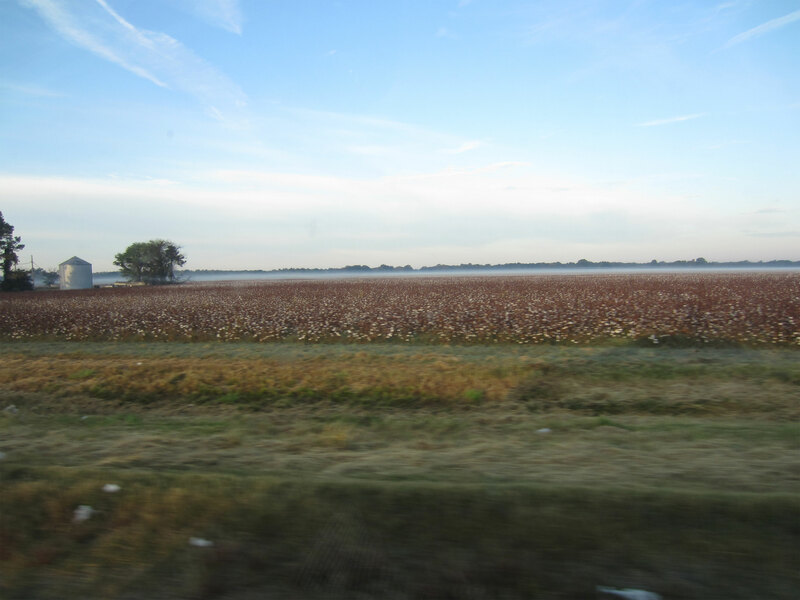 There are two turn outs on this road that I love to stop at, one where the St. Francis converges with the Mississippi and the other on the bank of the Mississippi. Sometimes people are camping and picnicking here. After breathing in the river air and stretching your legs get back on the road and drive into Helena. You will pass Maple Hill Cemetery on the right as you enter the north side of town. It is so beautiful. Take time to drive through and see the historic monuments. It is also the site of the Arkansas Champion Ginko tree. At the top of the ridge is an old Confederate Cemetery where you will find a picnic table – you may be ready to pull out that pie now. I usually stay at the Best Western in West Helena. You can do your own research if you want to upscale. When it is time to go home, just head west on Hwy. 49, which is the more direct route back. But there is one last Delta meal you should experience. 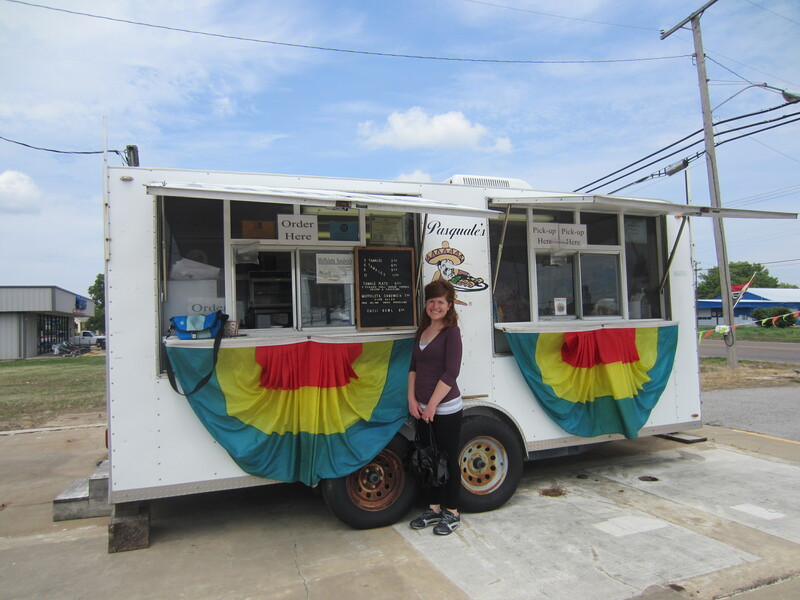 In the vacant lot next to Sears, which is less than a mile back to the east of the Best Western, and on the same side of the highway, you’ll find Pasquale’s Tamales food truck. Part of the famous tamale trail, they are also open on Fri./Sat. only. If the flags are out, that means they are open. I suggest the tamale dinner, they also have muffaletta sandwiches and plain tamales which are sold in bundles of three. Make your selection then get back on 49W, go 6 miles and on the left is the Delta Heritage State Park. It has a picnic area where you can eat your lunch before heading home. Enjoy and drive safely. EDITED TO ADD: El Rio Lindo in downtown Helena. Ask for the chicken soup which is not on the menu. Spicy and delicious.